Another piece in our collection of pedestal-style tables for your living room is the beautiful solid oak sofa table that you see here. Part of a collection that also includes a coffee table and end tables, the sofa table allows you to continue the pedestal-style theme throughout your living room, and your home. 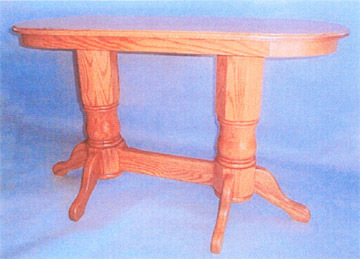 Our sturdily built, heirloom quality furniture will last for generations.